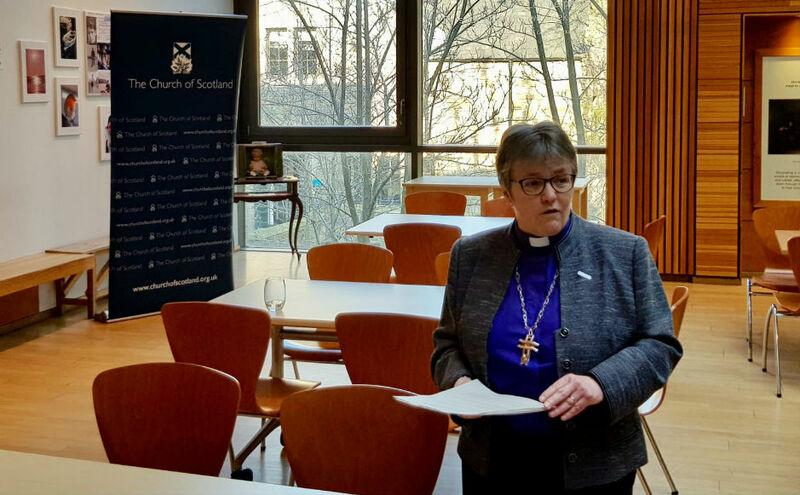 Rev David Coleman was invited to address the Scottish Parliament in their weekly four-minute ‘Time for Reflection’ slot which is the first item of business on Tuesday afternoons. Opening his speech to the gathered MSPs, Mr Coleman spoke of his recent move to becoming a national environmental chaplain. 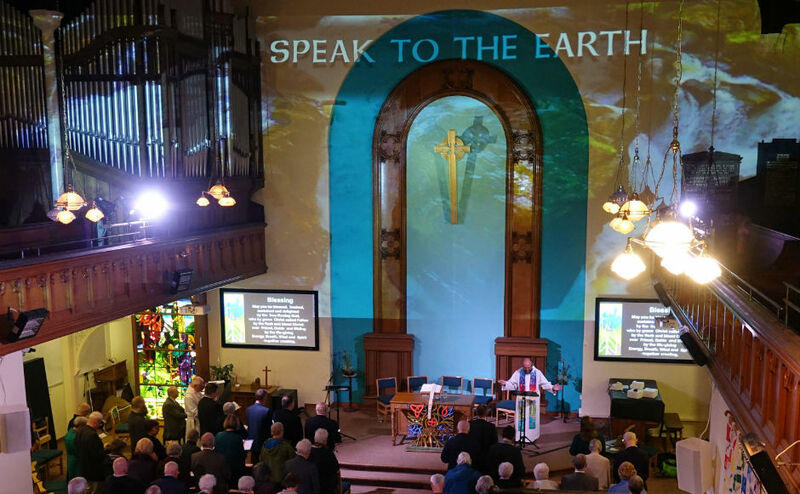 “Since I was first invited to offer this reflection, I have moved from being a grassroots pastor in Greenock to the nationalscope of Environmental Chaplain for Eco-Congregation Scotland, a charity supported by various churches and the Scottish Government. “In one way, that’s a change of direction. In another, it’s an intensification of the same calling. “The task I have taken on is unambiguouslyspiritual, meaning it touches on the deepest essence of who we are and our place in the created order. No party, no faith group, has a monopoly on the care of the planet." “Christian minsters’ calling is never simply to speak what people want to hear, even to those who might think they’re paying the piper. Mr Coleman was appointed to the role of environmental chaplain earlier this month, working with Eco-Congregations Scotland, a charity supported by a group of Scottish churches including the Church of Scotland. 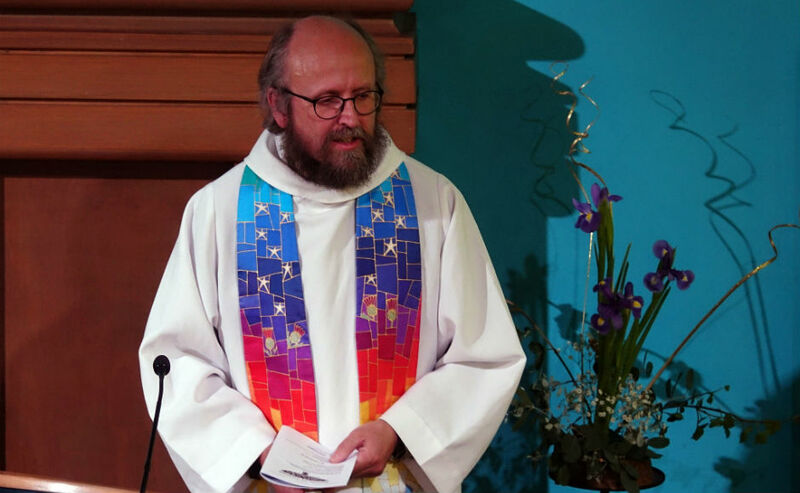 Within his new role, Mr Coleman is encouraging churches to take action against climate change, citing an “inherent” link between caring for the planet and Christianity. Mr Coleman urged MSPs to follow Jesus’ teachings and “read the signs of the times” in the world around us. “He (Jesus) pointed out that his followers were very well able to do so and to act accordingly, if they so chose. “In the Bible, God points humanity to the rainbow, a pre-existent phenomenon of universal scientific laws, with a promise that rising waters will not bring an end to the world as we know it. This month’s Creation Time worship materials are available to view and download here. Creation Time is the annual period between 1 September-4 October dedicated to prayer for the protection of Creation and the promotion of sustainable lifestyles that reverse our contribution to climate change.